As for Rivaldo he’s short term until I get a better winger unless he blows me away would get put in say viera long term. Agree with this, not just because I'm a fan of Rivaldo ofc, but right now he's pretty amazing, got some decent packs with TOTY in play & can always submit him down the track. Personally ended up paying 570k for him after packs. I've ripped over 70 packs today... from stacked packs from past WL's and untradable rivals, daily SBC's, MM's, packs for completing Campbell, then rinsing my club completely into Prem PL and Prem La Liga, gold upgrade packs, and probably about 6-7 82+ packs, and completed FB Casillas... of all of that, my best pulls were Sane and IF Willian Jose (but untradable). The next best after those would be Benzema, and about 5-6 84's. You calling it a day or still rinsing? @LFC Simon 98 not like you to vote wrong you doing POTM VVD? So two questions remain am i signing Rivaldo or sticking with Sancho? or do I somehow push for that Bale? Also how much coins should I dump into BBVA UPGRADES IN THE BLUE HUNT? For what it's worth I really like my team right now and can't see myself making a upgrade outside of Sancho for a month or so. Current team, any LM/RM can go in Sancho's place as long as Foster does't want to make me pray to get back to Courtious. I am also yet to pack a blue. Completely rinsed my club of rare golds (at least 100 packs) into the league player packs. I like the BVD signing!! Got a team update please? @iD33J91 Updated post with the team bud. I reckon i can get back up to 1.1-1.3 mil if I can sell my bronzes and consumables in time obviously not getting a blue yet is killing me BUT! so that is the silver lining. Voted. 2 good polls and is an important direction for the club. Nice one! If he costs that, and is very usable - specifically for a First Owners club - he is very much worth it. You can obviously submit him later on, for another Icon when released. Just to be clear we will have no players left outside of our team and no coins but we will have a blue in some way. So last poll I promise Bale and no club! or stick to the plan and Rivaldo 20 more or so upgrade packs? I know I bought the ICON ready for the Ultimate pack and just thought I would check his cost and i am 99% sure we can get it over the line are rewards out before he ends? Bale isnt worth it imo. The way I see it, is based on a comment I read this morning - Bale will probably not get another card as good as that. I think a number of us will agree that his NIF is already pretty OP & therefore this card can only be better. … and this is from me punting Rivaldo heavily! Yeah this. 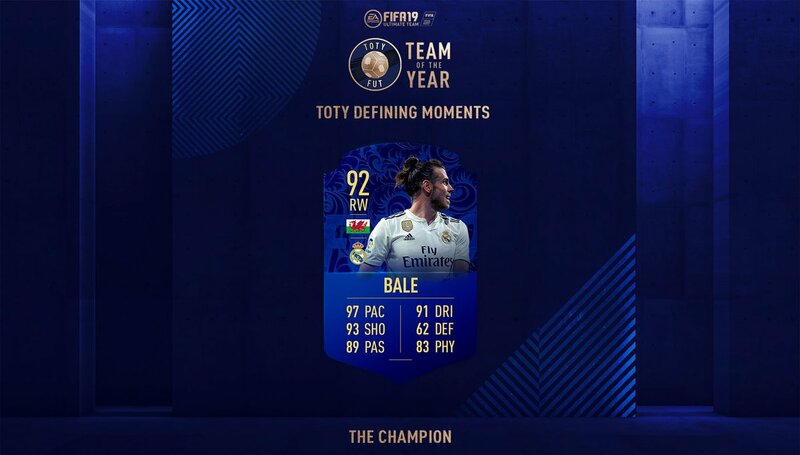 Can’t see Bale getting a better card. No matter what formation you go into, your front 3/4 is then set. Would be pretty happy with him in the end game, Mbappe is still running the show for me who Bale Craps on. Having said that I don’t know what FB cards will come or how much I will enjoy Rivaldo. I have Two signing to announce later neither are TOTY Cards. There was a cross between spending down to 500k and YOLO so I decided to go down to 200k excpet in the very last pack we got a dupe Aguero who I did't want to Discard, so put him into Vrilalko 84 rated team and paid 30k to finish it off. I sold every bronze I could put bronzes in the silver upgrade, silver into gold, gold in rare gold. 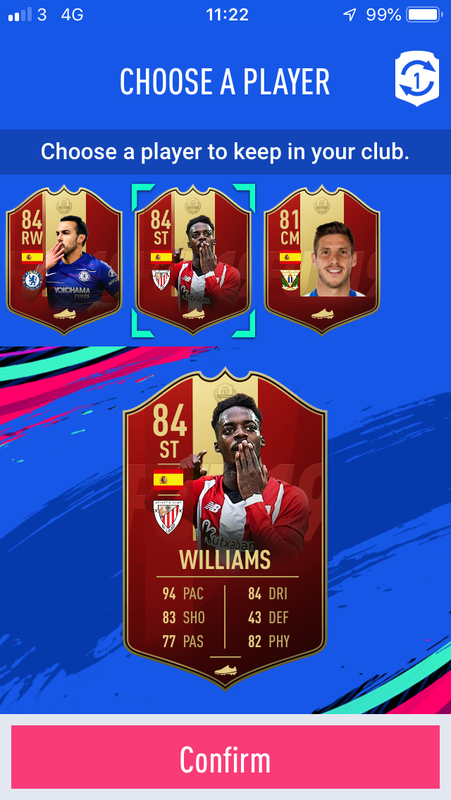 I did countless ICON SBCs 83/84/85 rated squads in looking back I should have worked on Best as appose to going for the small packs but heyho. I know TOTY cards are super rare but I am honestly super salty I could't pack one not only did I not pack one I hardly packed anything of real value but I tried. Coins spent over TOTY 800K-1 MIL. Club finances 180K and *** all. Rivaldo has joined the club in a deal believed to be worth 560k, the Brazilian winger more famous of a "dive" then his accomplishments for many Perhaps his greatest spell came at Barcelona winning the Spanish title and cup. 94 shot power and 94 long shots are his best stats but Cadey said it was his build that convinced him to sign the winger. "Sancho has been fantastic for us, but he is a bit young and weak right now I wanted to add more bullies to my side"
The first big name signed by the club in the 2018/2019 season has returned and a honouree addition to the squad, the Spanish Playmaker is set to be a impact sub but has improved greatly since departing the club in November 2018. The returning Silva has a impressive +12 pace and + 11 shooting since his last spell. The club is delighted to announce powerhouse Pogba has signed until the end of the season following the arrive of Zlatan. Speaking on his arrival he said "everyone knows I love the Lion, the Lion is here so I come to feed it"
Asked about how he will fit a working team around Scholes and Pogba Cadey said " I don't know but when the opportunity comes around to sign a player of his stature you have to take it"
I screwed up big time when it came to SBCS for TOTY I was too focused on getting a good pack for my coins as appose to spending more and working towards a player AKA Best... for example I have 5/8 of Keane done but no funds to finish him.... I should have done Shev or Best so sorry about that mistakes where made! Best additions from TOTY sums up how much I got my *** pushed in this event saved up so long to make this great for the club and I just could't catch a break here is my Ultimate pack from Rivaldo for Example. Also for the banter I got dupe Aguero and Pogba so had to use them in a bad SBC to not go through the pain of discarding. Passing note club legend Koulibaly has left the club. No apologies necessary from me! That is an awesome looking team < 4 months into the campaign. I did play to 14 wins in the TOTY Madness! Can’t get to Laptop or X Box today so rushed job on the phone! It's a good team, from a fifa viewer experience glad you did the packs to try... but ultimatly as a board member dissapointed you've left Keane half finished without signing the dotted line & Best should've come when we had the funds, getting the chance to sign him is something you can't say no to. Overall happy, but Best should've been signed, Keane should'v had SBCs done that werent too expensive if there was no intent to sign, but overall the team is crying out for a defensive minded midfielder, Keane would've been perfect. what's the board thinking about this future stars promo?